0.38 MB, 1920x1080px, 5.5 secs. 6.44 MB, 1920x1080px, 5.4 secs. 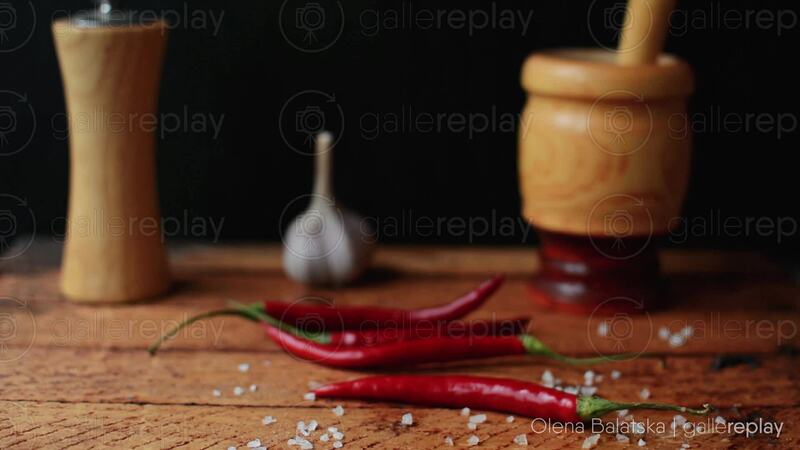 Several chili peppers and grains of sea salt lay on a wooden table. Chili sauce being prepared in a mortar in the background.